We cordially invite you to our 14th Annual Dolores Huerta Foundation Celebrity Golf Classic on Friday, October 5, 2018 at The Links at RiverLakes Ranch in Bakersfield, California. Please join us as a golfer, sponsor, and/or donor for our most treasured annual event. Celebrities who have attended in the past include Benjamin Bratt, Rosario Dawson, Dennis Leoni, Jay Montalvo, Jose Solano, Eva Longoria, George Lopez, Esai Morales and sports celebrities such as Kenneth Landreaux and Ruben Castillo. DHF mobilizes at the grassroots level engaging the community and developing leaders to work for positive change. Your donation will help fund our education, health and safety, equality, and civic engagement projects. This past year we were successful in making electoral voting districts more fair and representative. Our South Kern organizers delivered more than three trucks of donated clothing to needy families. Our civic engagement team is currently working to put an initiative on the ballot that would bring in more resources for schools and communities. 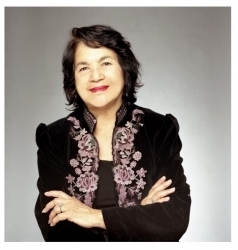 DHF has recently enjoyed a great deal of attention and gained more support, due to the release of “DOLORES,” the critically acclaimed documentary film, produced by Carlos Santana and directed by Peter Bratt, about the life and work of DHF Founder and President, Dolores Huerta. 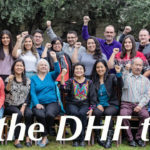 Now more than ever DHF is being sought to organize, unite, and address the challenges facing our communities. We sincerely hope you can join us in supporting these efforts. If you are unable to attend, you can also assist by purchasing a sponsorship. Please see the attached sponsorship opportunities to select your preferred option. Additionally, you may donate items for our raffle and golf prizes. Donations of sports gear and memorabilia, gift certificates, and promotional items branded with your company/team logo are welcome. All donations are tax deductible. Please share this event with your employers, family and friends. We look forward to seeing you out on the greens for another incredible Golf Classic! Interested in becoming a sponsor? Contact us today to build a package that meets your needs. Unable to sponsor at this time? Consider making a tax deductible donation to support this event.